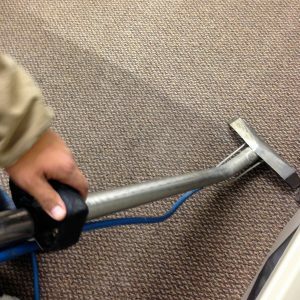 There are so many carpet cleaning companies in San Antonio. You have your big name high priced competitors and then you have your nobodies that are just looking for a quick buck. Then in between these two are the semi well know names with low priced carpet cleaning who are just trying to survive. So many good carpet cleaners start their own carpet cleaning company but fail. It wasn’t the quality of their work but the quality of their marketing. Believe it or not it takes way more than just being a qualified great carpet cleaner to make it in the business. Right now you can go onto Craig’s List and find so many listing of carpet cleaners who are trying to sell and get rid of their carpet cleaning equipment because they just weren’t bringing in enough business to keep up with the expenses of owning a carpet cleaning company. In order to be successful in the competitive carpet cleaning San Antonio industry you have to be willing to put yourself out there 100%. When the owners of Beyer Carpet Cleaning began their journey on being business owners they put all their sweat, tears, and money in to make sure their business would become and stay successful. They paid a company to set up a good looking website. A website that would be simple and appealing to the potential customer. They wanted the customer to know how much it would cost to have their carpet cleaned. So many competitors do not post their rates on their website because they change it according to the number of rooms, the square footage, and the services you will need. 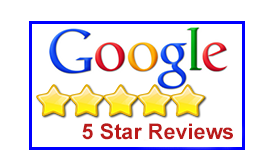 The owners made sure that their prices where/are fair and lower than the leading competitors. They also started up a Google campaign by paying Google money to advertise their companies website when people are searching for carpet cleaners in San Antonio. From their they opened up accounts and directories on all major social sites and directories so their company name would have major presence on the internet. After establishing all this they concentrated on their website making sure they were blogging and linking their posts on social media to their website. The more traffic your website receives the more popular it will appear to Google (even if no one calls for services). When Google sees that you have a popular website they will push you up on the organic ranking which makes it easier for customers to find you. The owners of Beyer Carpet Cleaning San Antonio have followed this path of hard work and making their company name know on the internet. They are now rating high in the google search bar. So if you want to be successful remember it’s all about presence then customer service then cleaning quality. When you have these down customers will return and new customers will be able to find you.